For me, Beach House is one of the most important acts of my lifetime, right up there with Bon Iver and Fiona Apple. Their sound is original but so, so easy to listen to and just something about watching them as a band that makes it feel easy to connected to the present, to the human race. There are three things to enjoy the most about Beach House: Victoria LeGrand’s unique vocal stylings, Alex Scally’s searing and dreamy guitarwork and the ever-present melodic keyboard beats that ripple through each song. I love the Beach House and totally don’t mind that a lot of the songs sound the same because I could sit there and listen to it for hours on end. There is something about the way the band sounds that just instantly captivated me; when I saw them live it was basically like being transported into a dream world for a couple hours, substance-free. 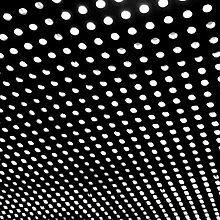 On May 15, 2012, Beach House released their fourth studio album, Bloom, to much acclaim. In the month or so following the release, some common criticism has arisen – the songs sound too much like the material from previous albums like Teen Dream and Devotion. And I can’t disagree with that – one can almost make a trajectory of instrumental complexity from their older albums with their newer ones. For instance, think about “Gila” from Devotion, which establishes their sound so a song like “Zebra” from Teen Dream can take shape, and the song “Troublemaker” from Bloom kind of builds on that. You can do that with basically any song off the four of their albums and quickly see how the band has grown as musicians but stayed true to the “dream pop” sound without innovating or changing too much. But my question is: who cares? I am just happy they’re releasing more music. After all, isn’t that all we, as fans, can ask of them? Although I don’t think the band will ever veer from their standard double-layered vocals, hazy guitar lines and ethereal keyboard melodies, I do see some new musical territory on Bloom. “Lazuli” and “Irene” use the keyboard to create more of an obviously electronic melody that incorporates the drum machine, and there is some instrumental continuation bridging the end of “Troublemaker” with the beginning of “New Year” that feels new. “New Year” is probably my favorite track on Bloom because the layered bridge and chorus is something that has stayed in my head basically since I started listening to this album. The escalating vocals in perfect conjunction with dreamy keyboard and guitar make most typical Beach House tracks I heard on Bloom “Wild”, the last three songs on the album “Wishes”, “On the Sea” and grand finale “Irene”, but again, who’s complaining? This entry was posted in Music and tagged album review, Alex Scally, Beach House, Bloom, dream pop, music, New Music, Victoria LeGrand. Bookmark the permalink.